Elderberry is a science proven immune system booster. We have used this supplement for over 10 years now and have not had one major cold or flu virus take hold. Not one. (And we have grandkids!) We take Sambucus Immune syrup from Nature’s Way. Why? Because that is the same product used in the first major study at Hebrew University in the early 2000’s proving that elderberry cuts the length and severity of the flu. At the first sign of a scratchy throat, we take a two teaspoon serving 3 times a day until symptoms improve or resolve. Time counts here. In our experience, you need to start taking this right away at the first sign of any symptoms, to slow or stop a virus. The Science: A study by the NIH (National Institutes of Health) show that elderberry reduces the severity and symptoms of a cold. They found the same findings about the flu using a similar Sambocol syrup. Zinc has been proven to cut the length and severity of cold symptoms, but most people don’t take enough. Taking one or two lozenges with 5mg of Zinc isn’t going to boost your immunity. Studies show that you need to take 30-40mg a day, preferably spread throughout the day for this proven supplement to work. We buy Solaray Zinc. The Science: Read this article about the power of Zinc in shortening the duration of a cold by three times at Time Magazine. The Science: Read this study on CBS News on how green tea is an immune system booster that works! An oldie, but a goody. Ok, we know that there are Vitamin C studies out there that swears it helps to improve your immune system, and probably an equal number of studies that says it doesn’t. But it’s been a standby for so long for a reason, right? Whether you eat immunity boosting foods to get vitamin c, or take supplements, there is science there that says it helps. There is no question that eating a diet rich in vitamin c helps to protects your long term immunity. But whether or not a handful of chewables can help you get better, it definitely can’t hurt. Our experience is that we always up our take of vitamin c when we are fighting something, and take a regular amount every day. The Science: Again, the NIH comes to the rescue. 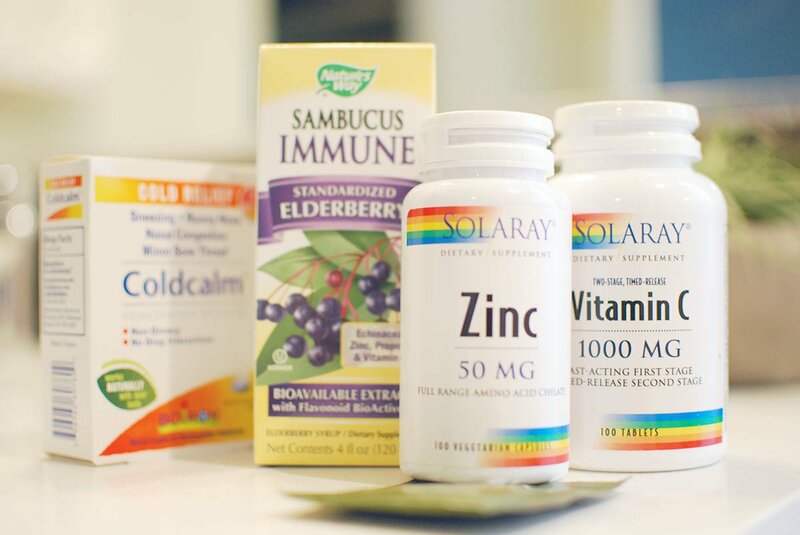 According their study on vitamin c and immune function, they say, “Vitamin C contributes to immune defense by supporting various cellular functions of both the innate and adaptive immune system.” We like Solaray Vitamin C.
This is Steve’s favorite immunity boosting supplement. It is a homeopathic remedy that is all natural. It basically is said to stimulate your own immune system into fighting back. He starts taking it according to box directions at the beginning signs of any cough, sneeze or sniffle. And he feels it works. Apparently, so do a lot of other people because it’s always selling out at our local supermarket! You can go to ‘Iherb’ to get ‘Cold Calm‘ . The Science: Sorry, there isn’t any science behind this that is strong enough to share with you. But I wanted to include it because I know for many years, science said garlic wasn’t good for your heart, and look how wrong they were there! 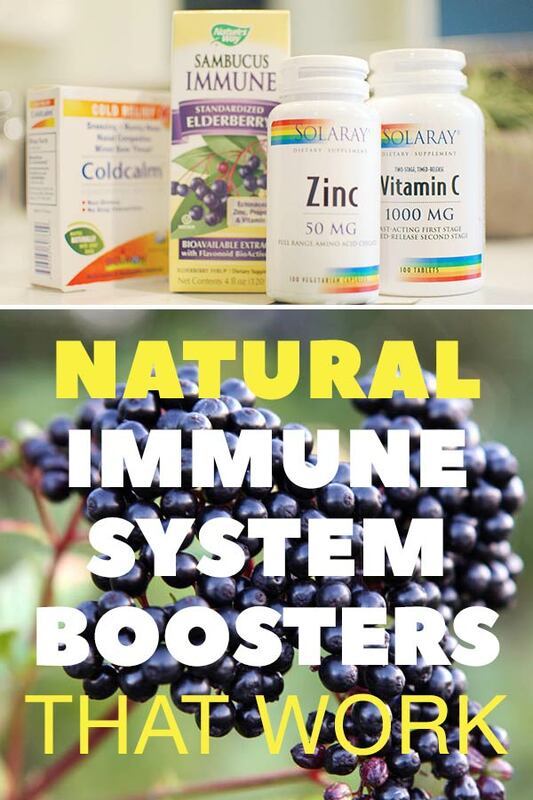 These natural immune system boosters work, have science to stand behind them, and most experts think they are much safer first course of attack. But don’t forget to boost your immunity every day by eating right, getting exercise, don’t smoke and get lots of fruits and veggies! We get over 90% of our supplements and herbs at ‘IHerb‘. They have great brands, great prices, and we have ordered from them for years. Love ’em! We want you to stick around for more great info, so check out our posts on Organic Foods : The Dirty Dozen and the Clean 15 Lists, and Snack on This, Not On That! Healthy High Calorie Food Substitutions.